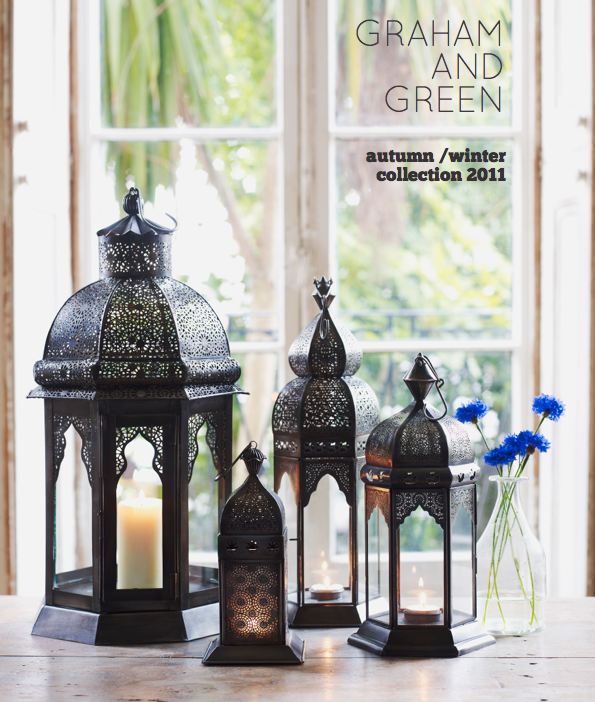 Whilst other homeware retail brands are sadly floundering, Graham and Green is a brand that is managing to go from strength to strength. 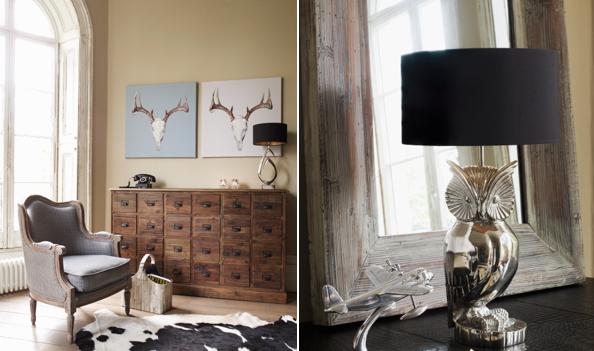 The new A/W 2011 collection still maintains the G&G signature nomadic and eclectic style but has mixed in quirky new pieces, which in turn has kept their collection feeling fresh and current. Consumer hunger for owls is still strong (and long may it last - I love them!) and G&G have keyed into this with their fabulous owl vase. Textiles have received bright and colourful updates, from the plush velvets of their Dream sofa to the colour block felt cushions, there are affordable additions to switch up your accessories for autumn. 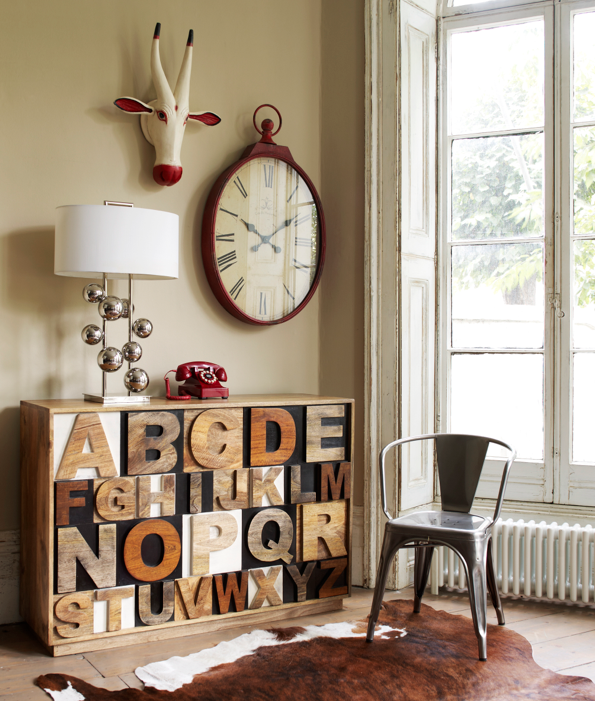 The mango wood Alphabet chest would make for a striking feature piece in a dining room and I'd love to have a bathroom big enough to take the French cupboard. 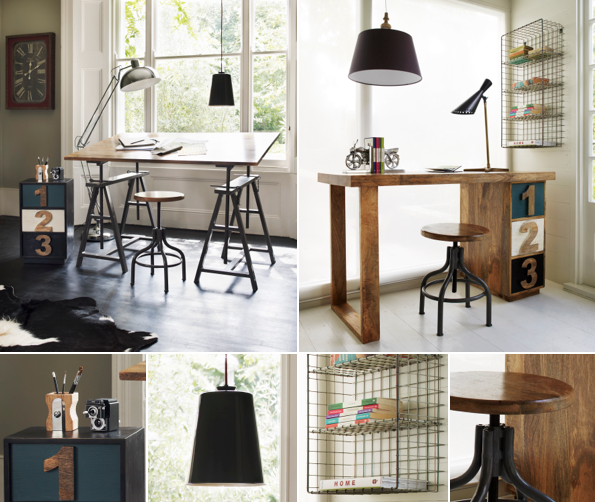 Which pieces are calling your name from the Graham and Green collection? I really like the alphabet end table with the red phone! Really cute!!! gosh i'm really liking everything!! i love the hide throw rugs, i've been trying to snag one of those for a while now!! would you happen to know of any online or offline places??? so many fantastic pieces! 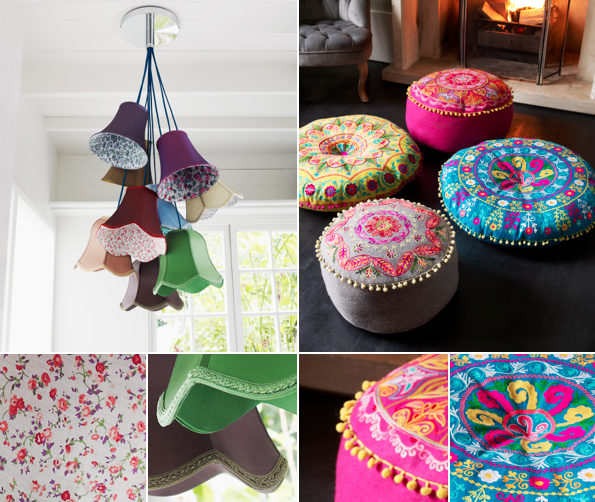 i love the lanterns and the poufs! i hope they sell to the states! That alphabet cabinet is perfectly perfect. Graham and Green always do it up right. Those stools are so for me, it's not even funny. The purple couch is just my style! Love the simple styling yet it still has personality. No wonder they are doing well! That alphabet cabinet would have taken such craftsmanship to make, it's bursting with character! Oh this is one of my favourite UK retailers. They always have the most interesting pieces. Those bobble-trimmed cushions are melting my heart! I'm really liking those letterpress tables. they always have beautiful things, love the little pom poms! 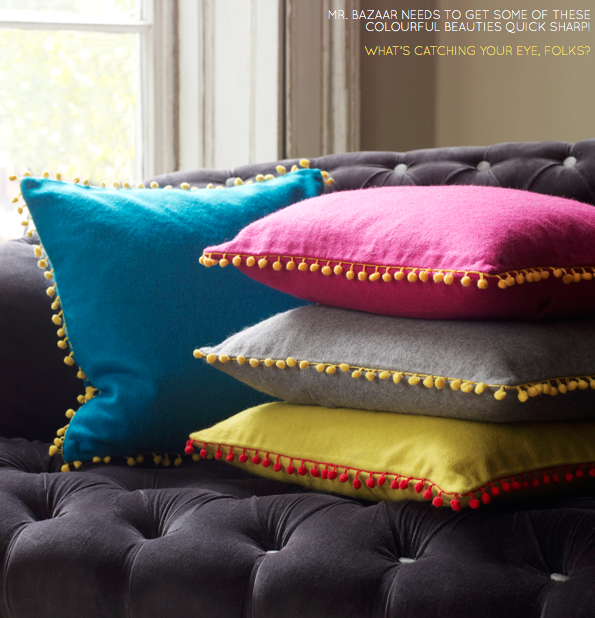 love their eclectic style ... those colourful cushions and poufs are fab! Oh my! There is so much stuff I like in these pictures! The lanterns are great (espacially the multi colored one a little way down), the cushions, the drawing table. The super awesome wall clock (the round one. I actually have the "sharpener" pencil cup in my office. And that cabinet in the third picture is die for! Try one of everything please! I am really loving the velvet furniture pieces in the soft gray and the electric purple. I also think the alaphabet sidetable is super unique, it could look amazing in a kids room too. I must have the alphabet cabinet...you have the most amazing taste in design. I drool over every one of your posts. oh jeezus. LOVE that purple couse, obviously the pompom pillows, the colorful Moroccan-style latern... I could go on... the colorful/global vibe is so very me! i love this store! that purple pillow is so dreamy!